Helen's dietetic practice Spring Vale Dietetic Clinic is located at her home in the quaint market town of Melbourne, Derbyshire. 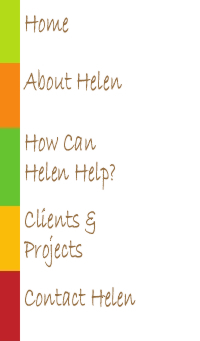 Helen provides assistance to several top name food companies, public relations (PR) consultancies and marketing agencies in all aspects of nutritional advice. In addition she acts as a spokesperson for the British Dietetic Association and was shortlisted as media spokesperson for 2013. Helen is one of the experts for Healthy Food Guide magazine and is also regularly quoted in the national, consumer and health professional press. She is the nutrition voice for BBC Radio Derby, and provides a wide reaching service in offering nutrition information and advice on live radio, in educational videos, seminars and webinars, in professional lectures and at exhibitions and conferences. For more information please see How Can Helen Help?